In beta two of iOS 12.2, Apple hasn’t slowed down. 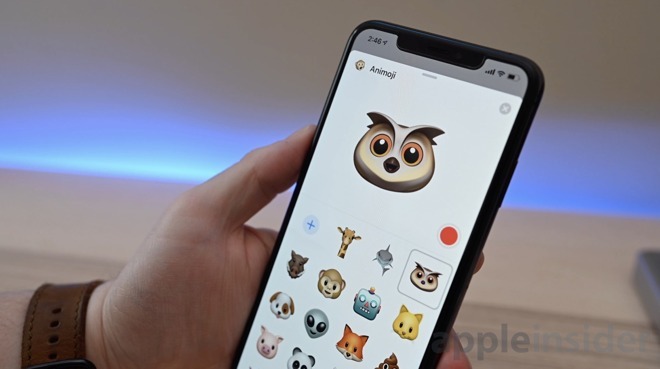 There are a number of notable changes from the inaugural beta including new Animoji, updated animations, tweaked lockscreen, and more. The most headlining feature of iOS 12.2 beta 2 is the quartet of new Animoji characters. Now users with a TrueDepth Camera System-equipped phone an record messages and strike poses with owl, shark, warthog, and giraffe. There are also a few changes within Control Center, specifically the Music widget. The arced icon in the top right corner has been replaced by a responsive icon that changes depending on where content is being played. For instance, it could be either an AirPlay icon or a TV icon. When jumping into Music from Control Center there is also a new animation. From the lockscreen, the date has now been replaced by the battery capacity —a move that will certainly be controversial. We’ve also seen reports of some AT&T users seeing errant 5Ge connectivity designators in the status bar. The second beta comes less than two weeks after the first beta of iOS 12.2. Check out what was new the first time around including News for Canada users and HomeKit TV support.